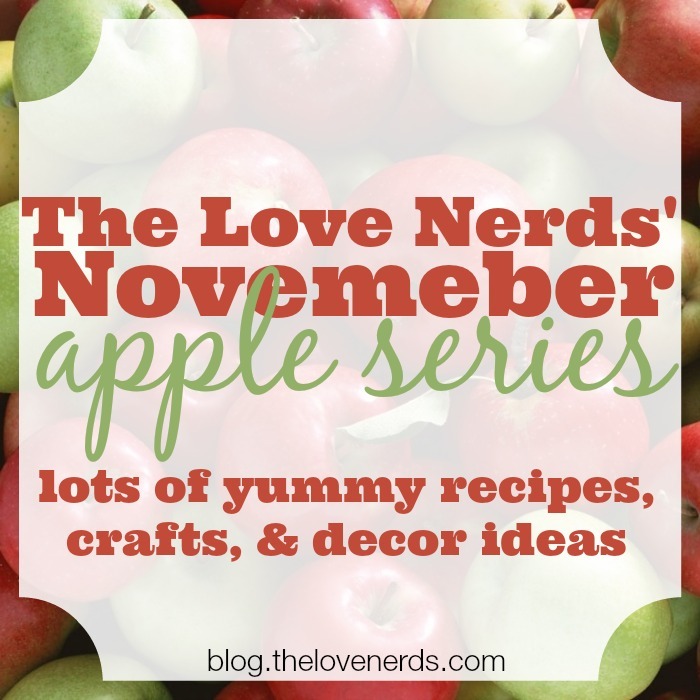 The Love Nerds is all about apples this November! This is the FOURTH post in our Love Nerd Apple Series and the last for the week. So far, we have shared Apple Pear Pomegranate Cider, Apple Spinach and Goat Cheese Stuffed Chicken and Caramel Cheesecake Dip perfect for pairing with apples and now Apple Pie Oatmeal Cookies!! While I love oatmeal cookies, I hate how unhealthy they normally are. They always seem to have more butter than other cookies recipes, so I experimented last month with making a healthier oatmeal cookie last month with only 2 tablespoons of butter for the whole batch – White Chocolate Pumpkin Oatmeal Cookies. So with this months apple series, how could I not make an apple version, too. 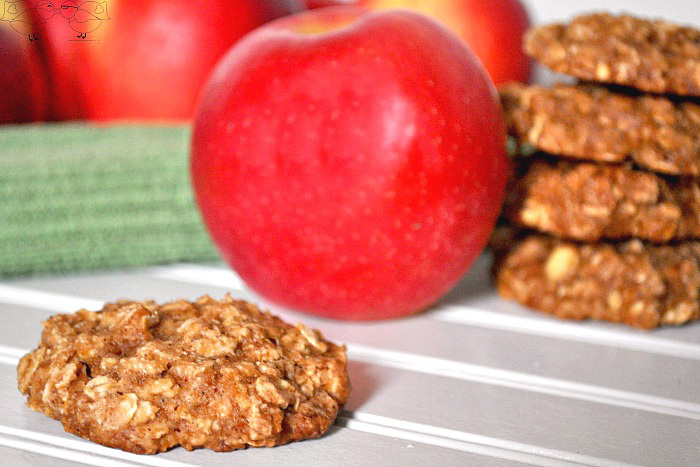 These Apple Pie Oatmeal Cookies have chunks of real apple, only 2 tablespoons of butter, and are so incredibly fluffy. 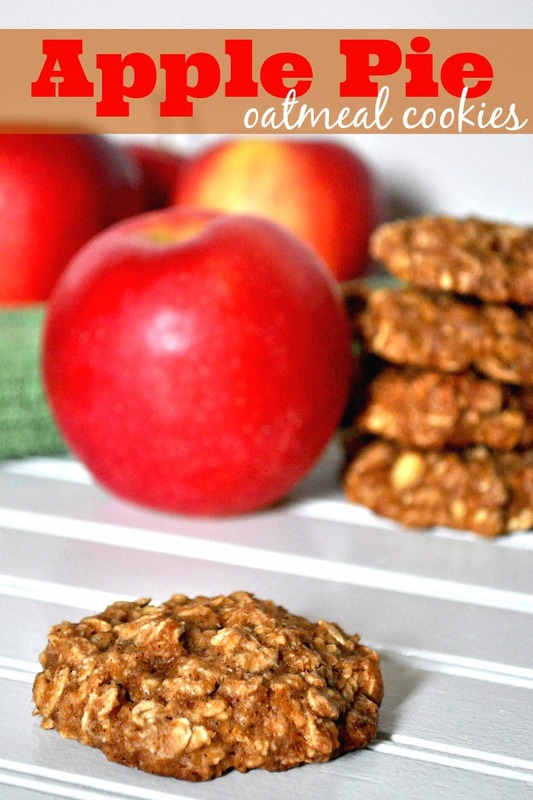 Apple Pie Oatmeal Cookies - A Healthier Cookie options with chunks of real apple, limited butter, and no oil. PLUS, they are really fluffy. In a medium bowl, mix together flour, oats, baking powder, baking soda, salt, cinnamon, and nutmeg. Set aside. In a large bowl, cream together the butter and sugars (by hand or with a hand mixer). Add the egg, apple sauce, and vanilla and mix until smooth. Add the flour/oats mixture a little at a time into the large bowl and stir by hand until well combined. Then, add the diced apples and stir. If the mixture seems too moist, add just a little bit of extra flour or oats. Use 1 tablespoon of dough to make each cookie and drop onto the prepped baking sheets about 2 inches apart. I measured and dropped messily onto the sheet, moving quickly. Then, before baking, I went back and shaped the cookies into more round cookie form. These look so delish!! Thanks for sharing!